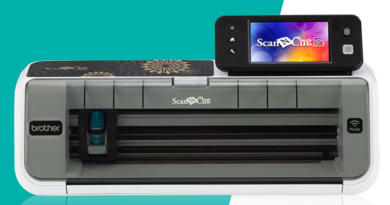 Today, I am going to take you through the “Cricut explore” family of machines reviews. I am going to focus mainly on Cricut explore one, Cricut explore air and its improvement the Cricut explore 2. 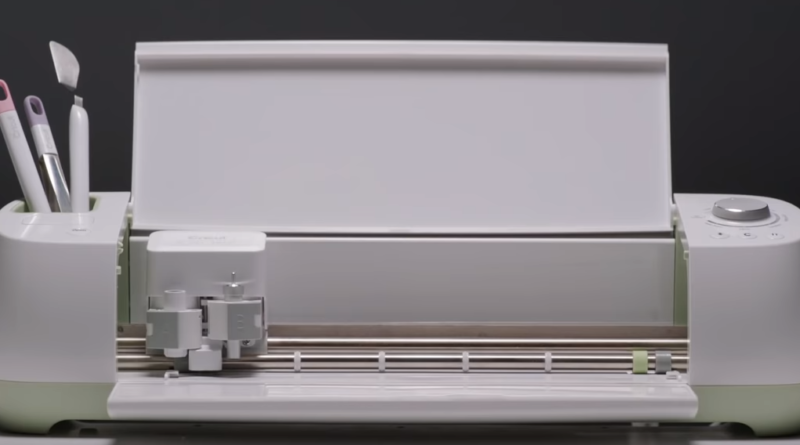 Cricut explore one is the first creation of the vinyl cutting machines from the explore family. Most of the buttons line in the left of the machine. There is a power button, one for loading the mat, one for starting the cutting or drawing, and finally one for suspending the operations. The last “button” is what they call the Smart Set button. It is used to select the material you want to cut. Depending on your choice, the machine makes the required adjustements for your cuts. The explore one can be used either for cutting or drawing. To do so,all you need is to put the correct accessory in the holder. In both cases, there is a free application provided by Cricut which will help you get started on all your projects. It can be installed on Mac, windows android or iPhone or it can be used on the browser. In the latter case, internet connection is required. The feedback from the users is without any surprises highly positive. However, most of the negative reviews are because of the cricut design space. Some users don’t like the interface of the software or find it slow to load. However, since it has occurred for a while, I am expecting the problems they faced to be solved by the developpers. Actually, the explore one was released after the release of the Cricut explore air as a cheaper alternative. To avoid repeating myself, I will just highlight the differences between both of the machines. The explore air two comes in two different colors: blue and wild orchid. As you can see from the picture above, it looks pretty much the same as the explore one. However, it is slightly bigger. With its 25.4 x 10 x 9.2 inches, it will be easier to store. Unlike explore one, explore air 1 has an integration Bluetooth connection. It is of course still possible to use the cable to connect the machine to a computer but why bother? With the wireless connection, you can connect your machine to any device with a bluetooth connection: a tablet, a laptop or a smartphone. With explore air, it is possible to draw and cut materials at the same time. With this feature, projects which were impossible, hard to do or time-consuming are easier now. The following video will help you understand how it can be used. As for the explore one, the majority of the reviews are highly positive. However, there are some negative feedbacks. The main reason for them is the Cricut design space. Some users say that it is limited compared to an image editing software while other faced some slowness in the performance of the software. 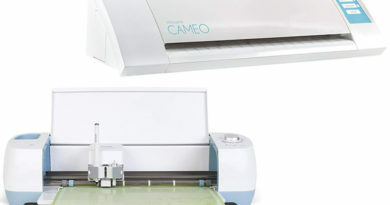 The Cricut explore air 2 is the newest born from the explore air 2 families. It is as expected an improvement over the Cricut explore air 1. It has all the features from cricut explore air 1. However, there are 2 main differences between the machines. 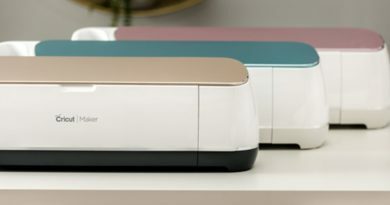 The Cricut explore air 2 comes in multiple colors unlike the Explore air 1: mint, black, sky, flamingo and raspberry. It is slightly smaller than the explore air 1: 24 x 9.5 x 9.5 inches. However, to be honest I don’t really think that you can tell the difference unless you put both machines side by side. The main new feature for Cricut explore air 2 is its improved speed. It is possible with it to cut materials up to 2 times faster than the previous one . They don’t specify what technical improvements they made. Still, I am expecting them just to have improved the mechanisms and the blades control . The fast mode is available for vinyl, iron-on, and cardstock based materials. It is accessible for these materials on the design space software. However, the device is expected to do much more noise when cutting. Like its older sisters, the air explore 2 is well appreciated by the users. However, most of the negative feedback isconcerning the cricut design studio. Some experienced users say that it doesn’t manage well the available space in your cutting materials. The following table summarizes all the available features for the 3 machines from the explore families. In general, if you are just a beginner and want machine to get started in vinyl cutting, I highly advise you to go for the explore one or the explore air. However, if you feel that you need a fast machine for vinyl cutting for your small business, I highly recommend the explore air 2. Finally, If you are looking for a machine which doesn’t require a computer to be used, you will have to go for something else. For instance, I highly recommend to go for a brother CM350 or a brother sdx125. Check out the brother CM350 review and the brother sdx125 review if you are interested.